The Arizona State Board of Education has adopted academic standards in language arts, mathematics, science, the arts, comprehensive health, foreign language, technology, social studies, and workplace skills. At Superior Junior/Senior High School, we give students the tools they need not only to meet the state academic standards but to exceed them. At SJSHS, we strongly encourage parents to stay in contact with teachers regarding their child’s progress. Students will receive progress reports midway through each quarter. It is the responsibility of the student to deliver a copy of the progress report to his/her parents. Our teachers always welcome the opportunity to discuss a student’s progress with parents, so please don’t hesitate to contact your child’s teacher and/or guidance counselor whenever you have questions or concerns about class assignments, grades, or graduation requirements. 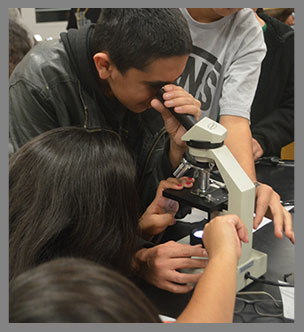 We invite you to learn more about Arizona’s Standards for K–12 students. See what's cookin' in the culinary arts class!